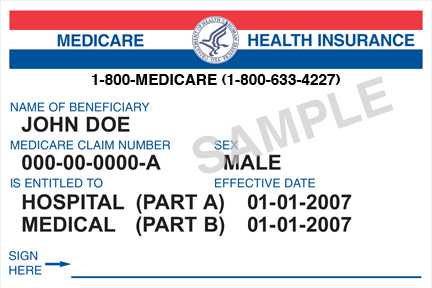 One of the signal events of my summer was the arrival of my Medicare card. It was easy to request, and arrived in a timely fashion, but the psychological impact was enormous. The card says “You’re a geezer.” Not literally, of course, but by implication. It’s true that I’ve embraced senior discounts and senior fares, but this is different. It puts me and my 94 year old mother in the same category. It severs me from my working past. It symbolizes the national controversy that is just beginning as more and more boomers get their own red, white and blue Medicare card. Since knowledge is my antidote to all things scary or emotional, I researched the history of this service. Medicare was signed into law by President Lyndon B. Johnson in 1965 (un-nerving to point out that Johnson wasn’t alive at my age :)) Medicare consisted of Part A- hospital insurance coverage, Medicare Part B- a medical insurance program, and, much more recently, Part D- a drug insurance program. AARP reports that the push for Medicare started in the Truman administration. Prior to Medicare, those over 65 who didn’t have access to private insurance or an employer’s health plan were dependent on their own savings or their families for medical care. President Nixon extended Medicare eligibility to those under 65 with long-term disabilities. President George W. Bush expanded Medicare by including a prescription drug benefit, called Medicare Part D. President Obama’s health care law, signed in 2010, mandated that Medicare beneficiaries receive preventive care services and health screening free of charge and reduced the out-of-pocket expenses of Part D.
Though the number of people in Medicare is expected to increase dramatically between now and 2030, economists like Paul Krugman optimistically forecast that health care costs are flattening out, that the rising cost of Medicare can be tackled by tax increases on the top 1%. In his editorial of June 2, 2013, Krugman says that “The Geezers Are All Right”- at least as far as Medicare is concerned. Hope he’s right!